Creating with Christine: Baby, I'm Worth It! FREE Cricut Collection! 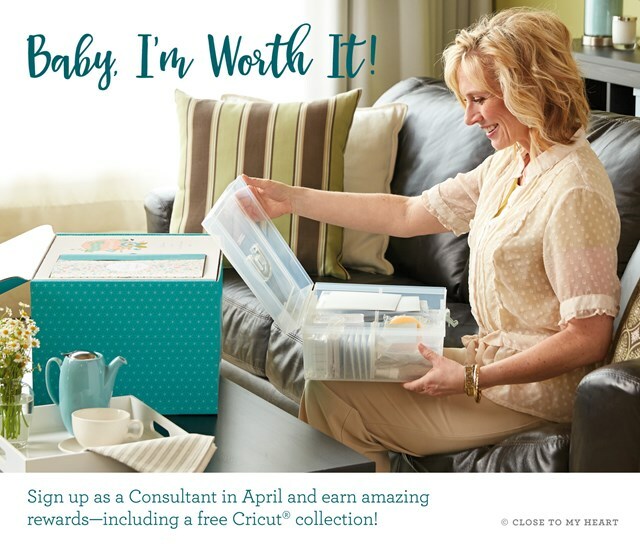 And only during April, you can also earn your choice of a FREE Cricut® collection or an additional $100 in Select Product Credit when you submit $350 in personal sales within your first 30 days! What a FABULOUS deal!!! If earning money—and rewards—through your love of scrapbooking and stamping sounds like a dream job, then now is the perfect time to join Close To My Heart. Believe us, it’s worth it! Click here to join my team and start living the dream!